Posted on June 6, 2016 by Evan G.
Imagine a world without a sun. Where mysterious wraiths roam around in the constant mists. Where most of the population is controlled by a group of uptight nobles and a dark ruler. This is just part of everyday life for Vin, a girl abandoned to a thieving crew by her older brother at a young age. In this life, she must struggle to survive, occasionally calling on her strange, mythical Luck, an ability that allows her to soften the emotions of others. However, this all changes when a strange man wielding similar powers named Kelsier finds her with an insane plan to overthrow the oppressive Final Empire. This is one of the best books I have ever had the pleasure of reading. It takes you on a wondrous adventure through the possibilities of a dark future, and the constant presence of the true strength that all humans wield. More than anything else, though, Mistborn really goes into detail about the different aspects of the human personality, including who you can trust and whether or not it’s a good thing. In fact, the author, Brandon Sanderson, also wrote The Reckoners series, which goes just as deeply into the human psyche. Mistborn was given to me by a good friend and actually helped me get through some hard stuff going on in my life because it truly illustrates the point: there’s always something you can do. This book should mostly appeal to teens (high school or middle) who need a little motivation in their lives. I would not, however, recommend this story for younger audiences as it is not appropriate and mentions some “iffy” topics not suited for children under 12-13. This is not a quick read but it is worth 33 AR points! A very worthwhile read, however. 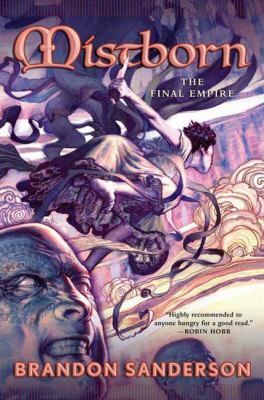 Mistborn is available for checkout from the Mission Viejo Library. This entry was posted in Book Reviews and tagged fantasy, female protagonist, orphan by Evan G.. Bookmark the permalink. Wow! This book sounds really interesting. I think I’ll read it.